Hi Kevin, this is Great. 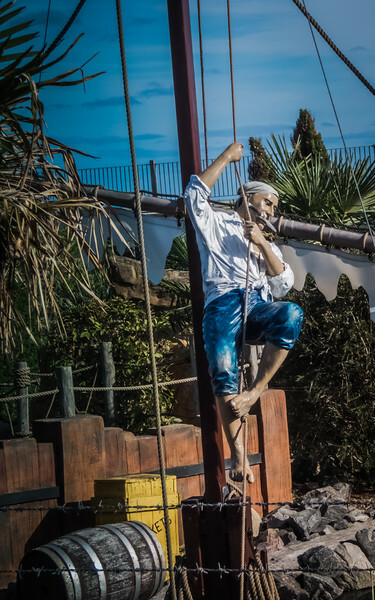 Really fun to see this faux pirate in the rigging. Well, this brought a smile! I love fun finds like this; they make such wonderful photo opportunities! That's a great piece of art on that ship. Wonderful capture that makes the man seem real. Well done!